We are surrounded by some pretty incredible neighbors but with all of the acreage between our homes, you have to go out of your way to connect and to see one another. That is probably why we are all out here and I would guess that most of us out here like having that privacy. Can you say introverts unite? I also think we are so lucky to have six incredible families that surround us that we get to call friends. I wanted to create something this year that would be a fun gift and that they could use up. When I was in Normany, France for one of my Living Studio workshops, one of my favorite moments of the trip was when the chateau staff set up chairs, blankets and a roaring fire up a hill and path not far from the house. 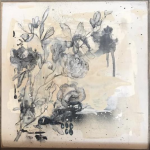 It was a cooler night and Ginger Wilson (my friend and workshop guest) had asked the staff to bring up pots of hot toddies and desserts that she had purchased. I think it was just one of those perfect nights that you couldn’t recreate if you tried. Since that trip, I love a good hot toddy on cold nights or when I am under the weather. 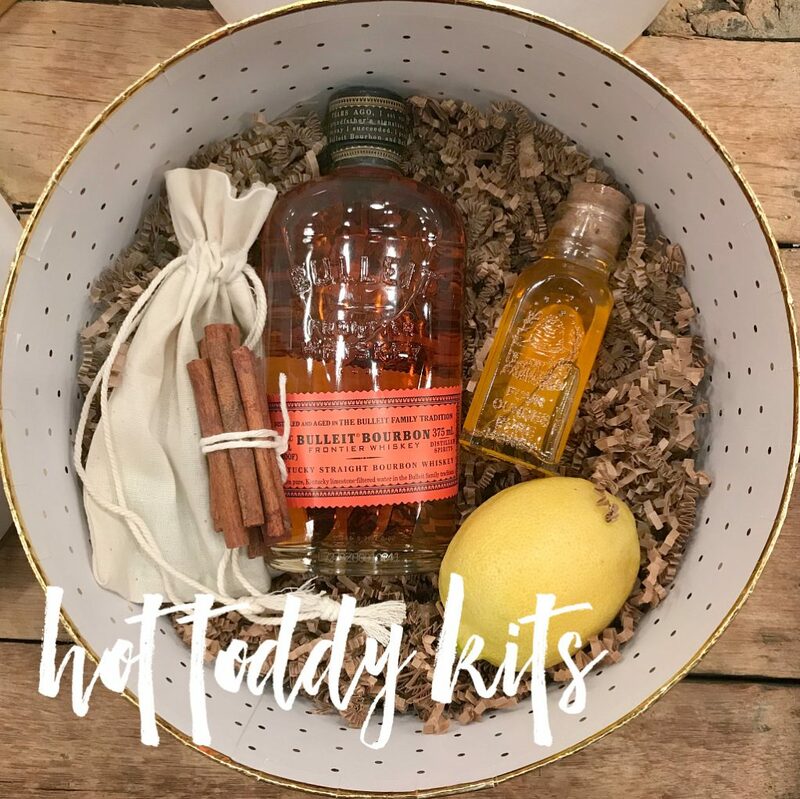 I knew hot toddy kits would make the perfect gifts for my sweet neighbors this year. When I shared this on my Instagram account and my IG stories I had such a huge response that I wanted to share it here so you have a place to find the ingredients, recipe, and photos. Enjoy! 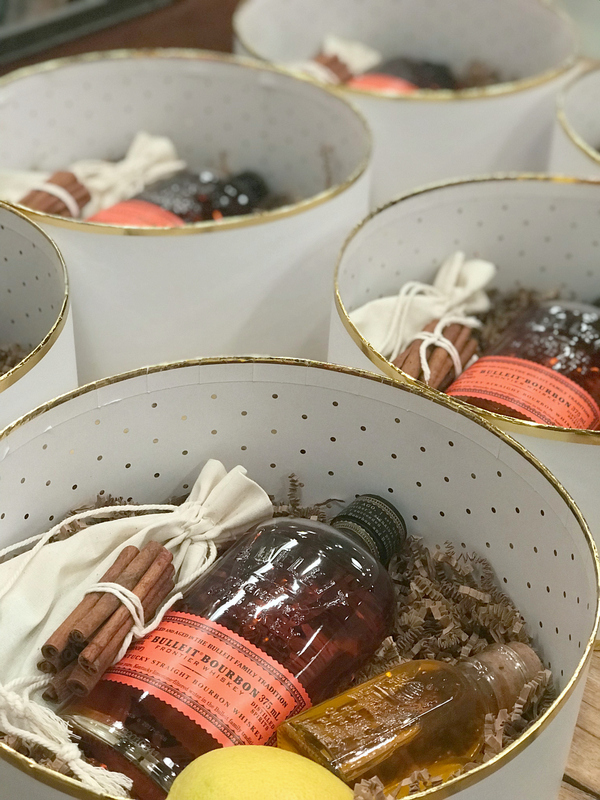 I was looking for reusable baskets at HomeGoods but couldn’t find six of them so I ended up going with round gift boxes from Target. I layered each box with crinkle paper that I buy in bulk from Uline but you can find it at Michaels or any craft store. 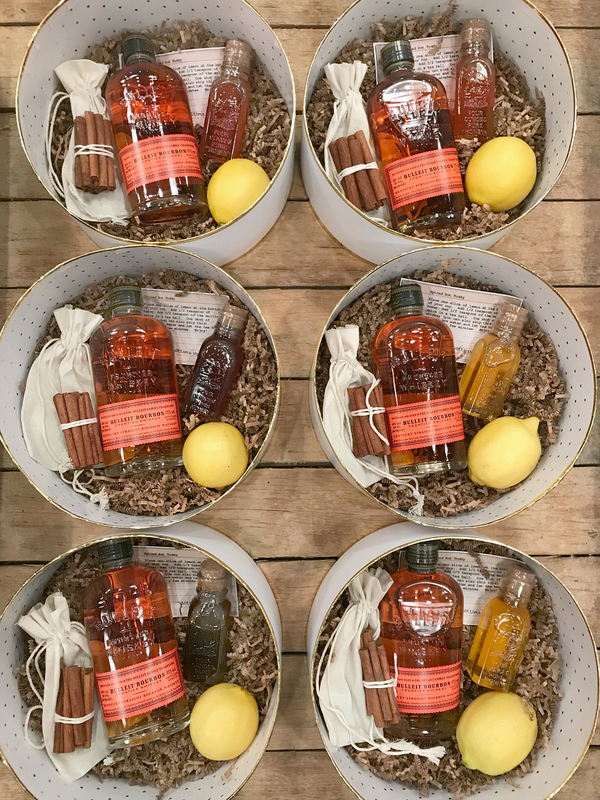 Inside the boxes, I layered the recipe card (included below), whiskey, lemon, honey, cinnamon sticks and a bag of whole cloves. I purchased the cinnamon sticks and whole cloves in the bulk section of our local grocery store to say money. 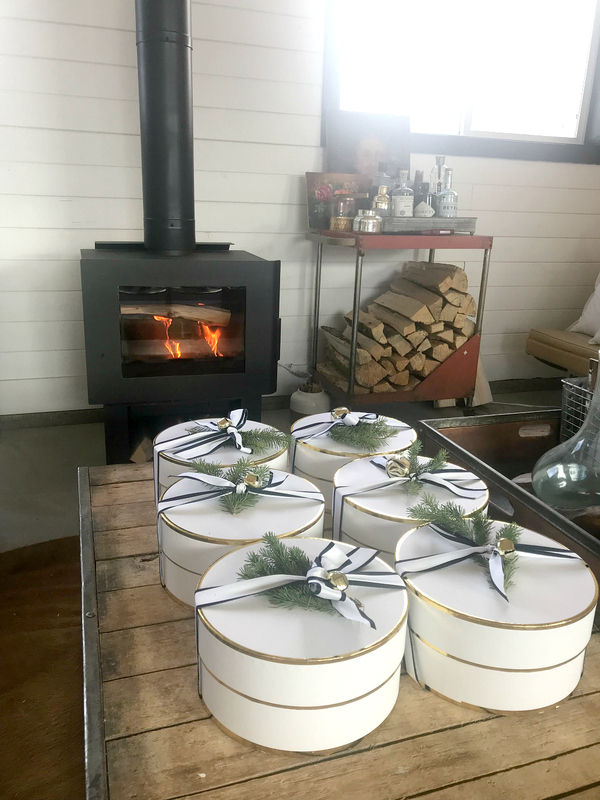 I wrapped the boxes with ribbon, a bell and then some fresh pines from our yard. We delivered the kits last night and they were a huge hit! Let me know if you put one together too! Thank you so much. The story behind the gift is wonderful! Much appreciated! And great idea. Happy hot toddies to you! Love this idea ! I’m a complete freak for a cute package and a sweet way to make a gift special .It’s adorable and so clever . Thanks for sharing ? I love you Jeanne. My heart is singing! Yet another big reason I want to be your neighbor! Such fond memories in Normandy. A first for so many, now hoping a long standing tradition lives on, bringing loved ones together, in sickness and in health ( hopefully in the reverse order if need be). Who better then you, to kick that in gear! OXOX . I will cherish the laughter from that very special night in France forever. Cheers to you all and much love. I copied you last year and added hot cocoa with Santa cups for the kids along with the alcohol for the adults. Well done!